ASLM is proud to announce Board Certification in Lifestyle Medicine is now available in Australasia, offering you the opportunity to be amongst some of the first in the world to be certified by the International Board of Lifestyle Medicine (IBLM) and/or by ASLM. Certification in Lifestyle Medicine demonstrates your competency in Lifestyle Medicine, augmenting your clinical or public health practice with a solid grounding in preventing, managing and reversing chronic and lifestyle-related diseases. For those who would like to undertake further professional development in Lifestyle Medicine, Board Certification contributes one third of the points (480/1440) required for the ASLM Fellowship. The next exam will take place in Australia. Date and location to be announced soon. Watch this webinar, held live on 5 February 2019, to learn more about what Board Certification involves, why it’s important, and how it can benefit your current practice (run time 1 hour). Certification is the differentiating factor between health professionals who are passionate about Lifestyle Medicine, and those who can actually practice it within their current scope of expertise. Certification will set you apart and change the way you practice medicine (for the better!). Certification, and the subsequent practice of Lifestyle Medicine, allows you to have a deep and lasting impact on your patients’ health. Rather than simply managing symptoms, you are addressing the underlying cause of chronic disease, often leading to an arrest and reversal of the disease, and healing for your patients. Certification demonstrates your commitment to, and competency in, Lifestyle Medicine, augmenting your clinical or public health practice with a solid grounding in preventing, managing and reversing chronic and lifestyle-related disease. 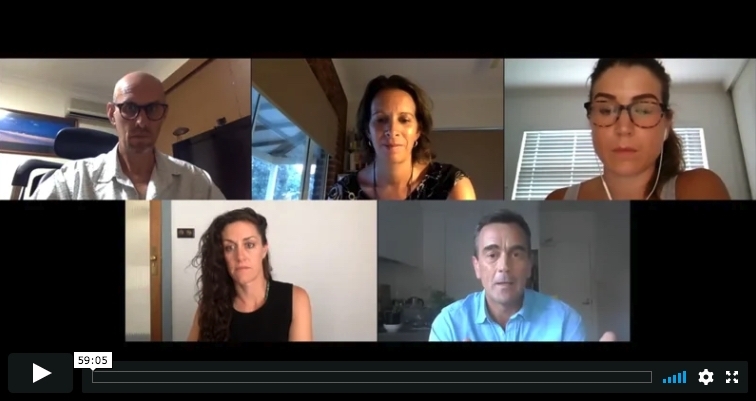 Certification, standardised by the International Board of Lifestyle Medicine, is your entry into a global community of like-minded health professionals, passionate about advancing the Lifestyle Medicine movement for change. For more of the reasons to pursue Board Certification, and the importance of having an internationally recognised and consistent standard for Lifestyle Medicine professionals, please watch the video below. This video features some of the founding members of the American and International Boards of Lifestyle Medicine. To be eligible to undertake Board Certification, you must be a Full Member of ASLM (see membership requirements here) and a clinician, public health professional or otherwise suitably qualified in a health related field. Depending on your field and level of professional education, you will be eligible for one of three categories of Certification described below. The pre-requisites and requirements for Certification vary by professional status. Please refer to the type of Certification relevant to you below for a specific breakdown of what’s involved. If you are unsure of which type of Certification you should be pursuing, please see ‘Types of Certification’ above. Board Certification involves an online (minimum 30 hours) and self-directed learning process. However, candidates will be provided with a comprehensive list of online educational resources, references, articles and other readings to assist with exam preparation. ASLM’s Education Coordinator will also provide guidance in the preparation of case studies and will be available to assist with general enquiries throughout the Board Certification process. How can I meet the 30 hour requirement of online/non-live CME/CPD? You are required to complete 30 hours of online/non-live Lifestyle Medicine CME/CPD. We strongly recommend that you undertake the Foundations of Lifestyle Medicine: The Lifestyle Medicine Board Review Course 2nd edition (FOL/LMBRC2) (No CME Credits), presented by the American College of Lifestyle Medicine (ACLM), to achieve your 30 hours. There are alternative courses which have been recommended by the IBLM (see below) but the FOL/LMBRC2 is seen to be the best preparation for Australasian candidates. How can I meet the 10 hour requirement for in-person CME/CPD? The best way to earn at least 10 hours of in-person CME/CPD is to attend any ASLM conference or workshop, in the last 3 years. Does my in-person CME/CPD from previous years count towards Board Certification? Yes! All CME/CPD accrued within the last 3 years counts toward this requirement of Board Certification. CME/CPD must not be older than 3 years prior to completing the formal exam requirement of Board Certification. Are there any additional costs involved for online and in-person CME/CPD? Yes. The Board Certification registration fee covers the cost of sitting the exam only, and therefore additional costs may be involved to complete online and in-person CME/CPD. How much time do I need to prepare and complete the requirements for the exam? Exam preparation and Board Certification requirements can be completed in a 3 month period, depending on how much time you have to study. However, more time than this would be preferable. To help support your efforts, we have created an education resources area of the website which is designed to help you with your preparation and direct you toward the right literature to study. Our Education Coordinator is here to help answer your questions along the way. I still need more information, is there someone I can speak to? Our Education Coordinator, Jordhana Clark, is available to answer any questions you may have about the Board Certification process, and what this internationally recognised standard means for you and your practice.